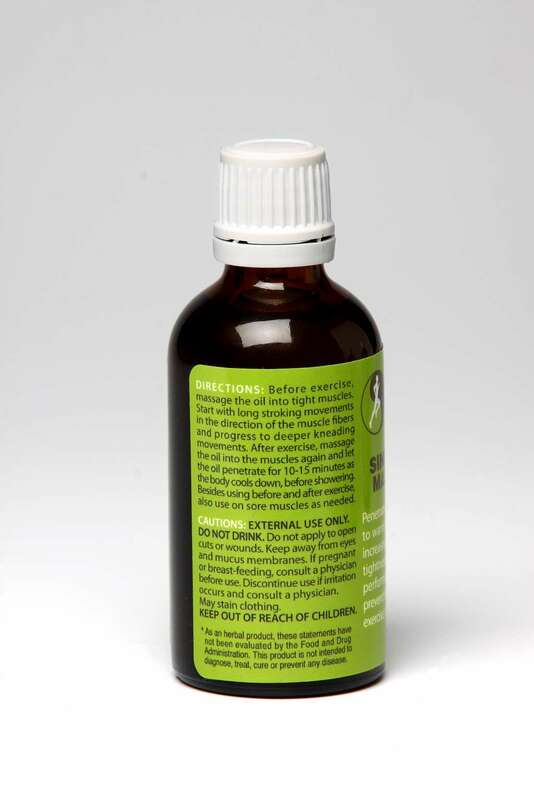 What is Sinew Sports Massage Oil? 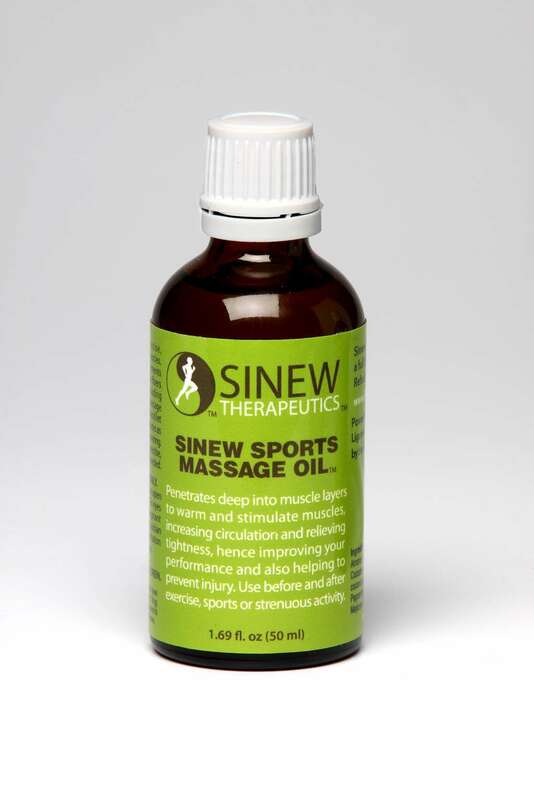 Sinew Sports Massage Oil is a safe and effective natural massage oil specially formulated to penetrate the muscle layers, bringing heat deep into muscle tissues, relieving soreness, improving flexibility in muscles and joints, and increasing circulation. 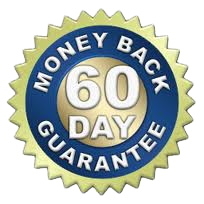 This ultimately improves your performance and helps to prevent injury. Thoroughly prepared muscles are much less prone to injury, such as from a pulled muscle. * Specially developed for use before and after exercise, sports and strenuous activity. * Penetrates deep into muscle layers to warm and stimulate muscles. * Increases circulation in the muscles and relieves muscle tightness. * Warms and prepares muscles for exertion, thereby improving your performance and helping to prevent injury. How do I use Sinew Sports Massage Oil? Before exercise, massage the oil into tight muscles. After exercise, massage the oil into the muscles again and let the oil penetrate for 10-15 minutes as the body cools down, before showering. Also use on sore muscles as needed. 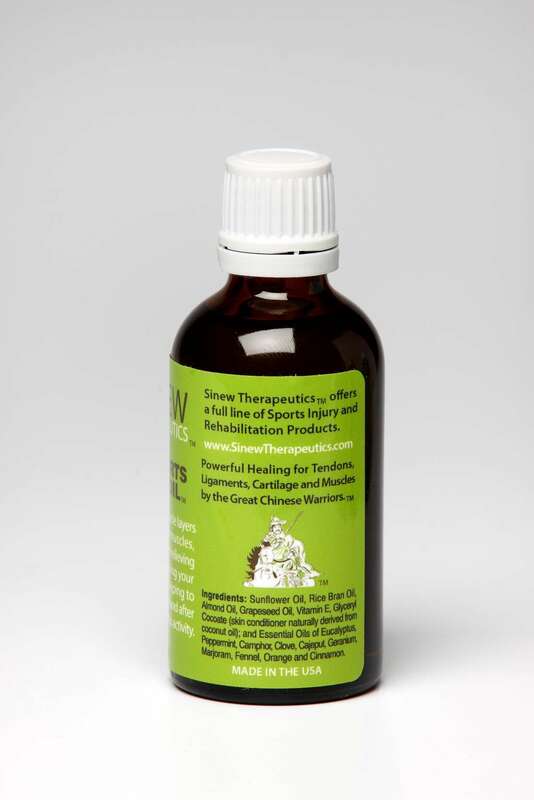 Sinew Sports Massage Oil contains the following natural oils and essential oils in therapeutic dosage: Sunflower Oil, Rice Bran Oil, Almond Oil, Grapeseed Oil, Vitamin E, Glyceryl Cocoate (skin conditioner naturally derived from coconut oil); and Essential Oils of Eucalyptus, Peppermint, Camphor, Clove, Cajeput, Geranium, Marjoram, Fennel, Orange and Cinnamon. Immediate relief is usually obtained during massage and effects will be cumulative with regular use.